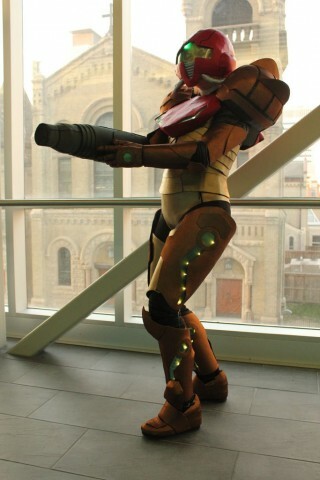 Samus Aran Costume « Adafruit Industries – Makers, hackers, artists, designers and engineers! Samus Aran from Metroid has a recognizable costume. I’ve seen cosplayers tackle the bounty hunter’s armor with all kinds of different materials from fiberglass to Worbla to cardboard. 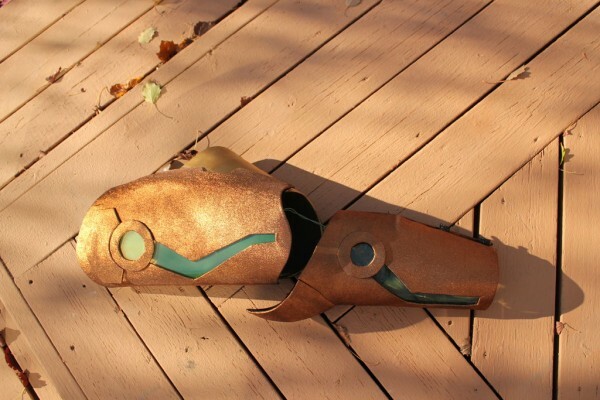 Instructables user Namisuke used craft foam and stretchy fabrics to simulate metallic armor. Between the armor, the lighting, and building materials, she spent about $350 on the costume. She spend 300 hours building it and wrote a thorough how-to – including a helpful section about how to put the armor on. Using a Samus image, trace out the pieces you will need. Every Samus picture seems to vary somehow, so make the pieces from your favorite one or a mix of them, as I did. Make it symmetrical. Use measuring tape and folded pieces of paper to help you make perfect shapes. Cut out the 5 main pieces from the cast – the vertical front piece, side sections, back, and “diaper.” Leave the small pieces intact. The side pieces will need to be cut to create a flat shape from a bent one. You will be creating “darts” so that your flat shape will then again form into a curved one. I recommend cutting from the center of the cast and making vertical darts, stopping before you cut clear through your piece (at least leaving an inch at the top and bottom). This process will depend on your personal shape. I made two darts on mine, each one 1/3 away from each edge. You want your piece to lay flat. If you mess up, simply re-tape the cast and try again, or use the other piece since you’ll be doubling the side pieces anyway (you only need one to make the pattern). You will need two base pieces for your corset – one for the base, and one to cut the pieces out of. The base should be cut slightly narrower on the top and bottom than the top piece to make sure the foam doesn’t show through. The top part pieces can be cut slightly wider on the sides by 1-2mm each as when the pattern is laid on top and curved, it will become smaller (think of the outer edge of a race track). Very small adjustments are fine. Going too big means the corset will be too loose. 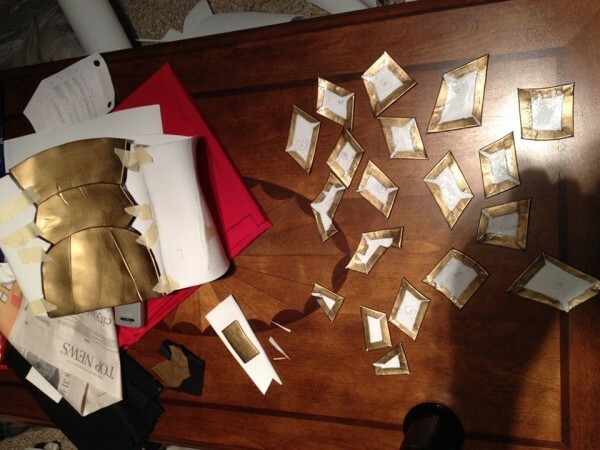 After cutting out the pieces, you will need to glue the base pieces back together, creating one corset base. Use masking tape to bring the edges together. Using a piece of cardboard (I cut out pieces of the box the glue came in) or a craft stick, spread Goop glue over the seams. I used two thin coats. After it is dry (leave for about an hour), take off the tape and glue the other side to make it really secure. This piece will go on very tight, so it has to be strong. If you wish to test the size of the corset before gluing it, tape it together and check. Read more about the build at Instructables.